Voyager 1 is a small 700kg spacecraft that was launched in 1977 by NASA with the purpose of studying the outer edges of our solar system. It has already been more than 35 years travelling in the dark void of Space. 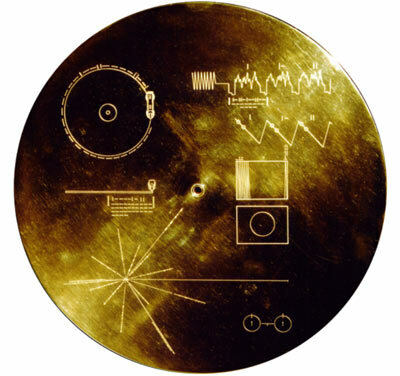 It is the spacecraft that carries the famous golden plated disc as a form of communication with any alien civilization that may have been found. The disc contains information about the Earth, scientific information and sounds of the Earth. Even though we do not know if it has contacted any alien ‘creatures’, we now know that it has reached the far edge of our Solar system, more than 18 billion kilometres away from our Sun. Voyager 1 is now crossing the last region of our solar system. According to NASA scientists the region that it is in now has three signs of interstellar activity. The first is the gradual disappearance of charged particles as Voyager goes out of the sun’s magnetic field. The second is an increase of cosmic rays coming from outside our solar system. The third sign that is missing is the sudden change of the polarity of the magnetic field which will mean that Voyager will be under the influence of an interstellar magnetic field. Now we need to realize that our solar system as a whole is not static but is moving around the center of our Galaxy. Although the move is ‘slow’ it is still a move. It takes approximately 280 million years to revolve around the center of our galaxy (which by the way is a black hole). During this move we go through different unknown regions of our Galaxy, that many old civilizations like the Mayans and the Greeks somehow new about. According to a few theories, many of the destructions that happened on Earth are attributed to this movement. What voyager is going to meet out there is unknown.